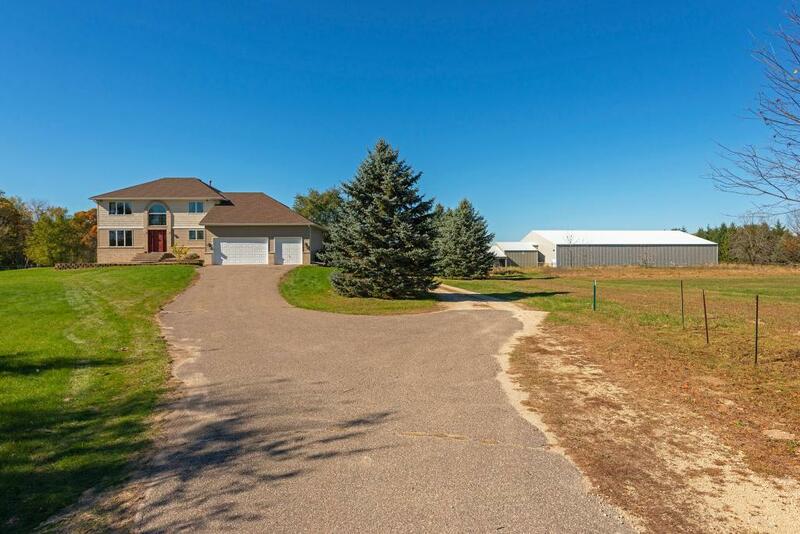 Conveniently located horse property with 4-stall barn & room for more. 12 acres of fenced, lush pastures & paddocks with plenty of room for toys. Could hay your own fields. Wash rack, hay storage, lean to, & 70x120 16-ft side walls insulated indoor riding arena. Updated home features stainless steel appliances, center kitchen island, hardwood floors, two brand new, full tiled baths upstairs, gorgeous stone fireplace, & a full, unfinished basement just waiting for your finishing touches.